This month we have Fancy Pants Designs as our challenge sponsor and they are providing our randomly chosen winner with a fabulous Me-ology prize pack! Here is a look at what the Clique Kits Design team created for this months challenge! We look forward to seeing what you create this month and a big thank you to everyone who linked up last month! Please click the blue link up below to link up your project! 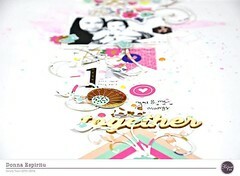 Categories: Challenges, Prom Committee | Tags: Challenge, Create, kit club, scrapbooking, Sweet Stamp Shop | Permalink. Congratulations Esther!!! Love what the DT team did for the challenge!! Congrats Esther! Love everyone’s interpretation of the kit!